Marijuana is often viewed as a drug that is “not that serious,” especially when compared to other drugs such as crack cocaine and heroin. Make no mistake: state and federal authorities are cracking down on marijuana crimes and are prosecuting them to the fullest extent possible. While other states are legalizing marijuana, the Louisiana District Attorney’s Association and the Louisiana State Police strongly oppose legalizing marijuana, and the Department of Health and Hospitals says marijuana is linked to schizophrenia and leads to heart attacks. All criminal defendants charged with a marijuana-related crime need to act quickly and get an experienced, dedicated defense lawyer on their side. At the Law Office of Robert S. Toale, we offer experienced defense representation that is backed by over 30 years of criminal defense experience. Robert Toale has represented numerous clients for crimes involving marijuana, including first-time offenders, college students, juveniles and habitual offenders. He gets to work immediately investigating your case, working hard to determine if your rights were violated and whether the evidence to be used against you was illegally seized. Speak to us today so we may begin preparing your defense and working toward securing the best outcome possible. Attorney Toale is on the legal committee for the National Organization for the Reform of Marijuana Laws (NORML). He has also testified before the Louisiana Legislature for the reform of marijuana laws. Contact my Louisiana defense office online or call 504-368-8440 to set up your initial consultation and discuss your case in confidence. We will evaluate whether the police had probable cause to search your car, person or belongings. We will also determine if the evidence followed proper chain of custody procedures, as well as whether the evidence supports being charged with lesser crime or should result in the dismissal of your case. The penalties for possession of marijuana in Louisiana were finally reduced by the legislature in 2015 for small quantities of marijuana. These penalty reductions apply to possession of under 2.5 pounds of marijuana, and the marijuana must not be possessed with the intent to distribute. The amount of prison time and fines for a marijuana conviction will depend on (1) the number of grams of marijuana possessed and (2) whether you have a prior conviction for possession of marijuana. First offense possession of marijuana is a misdemeanor in Louisiana. 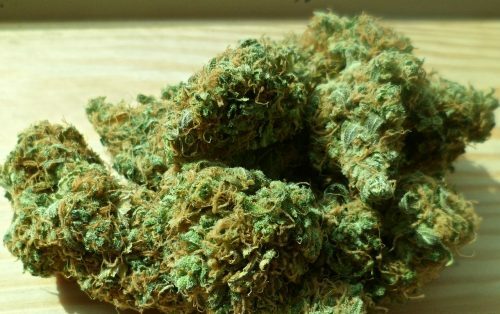 If you are cited for possessing less than 14 grams of marijuana, you may be punished by up to a $300 fine, a 15-day sentence in parish jail, or both. If you possess more than 14 grams of marijuana on your first offense, or it is your second possession of marijuana offense, you may be subject to up to a $1,000 fine, up to 6 months in parish jail, or both. A third conviction for possession of marijuana in Louisiana is a felony. If you are convicted of third offense possession of marijuana, you may be sentenced to up to 2 years with or without hard labor, a fine of up to $2,500, or both. A fourth or subsequent offense for possession of marijuana is also a felony. You may be sentenced to up to 8 years with or without hard labor, a fine of up to $5,000, or both. Probation is an option for the judge when a defendant pleads guilty or is found guilty after a trial. If you are placed on probation after a third or fourth marijuana possession conviction, then a condition of your probation will be a substance abuse program and community service. All probation costs are paid by the convicted person. If you are caught with marijuana in New Orleans, you may be issued a citation under New Orleans Municipal Ordinance Section 54-505. A first conviction of this ordinance carries a penalty of a fine of not more than $40.00. A second violation of this ordinance within 2 years of the first violation is punishable by a fine of up to $60.00. If you are convicted for violating the New Orleans ordinance a third time, you will be fined up to $80.00. For fourth or subsequent violations of this ordinance, the fine is up to $100.00 per violation. Do not delay in getting the help you need. Let our decades of experience create the solid defense you need. Call 504-368-8440 or simply contact us online to schedule your initial consultation with our Gretna marijuana crimes defense attorney.